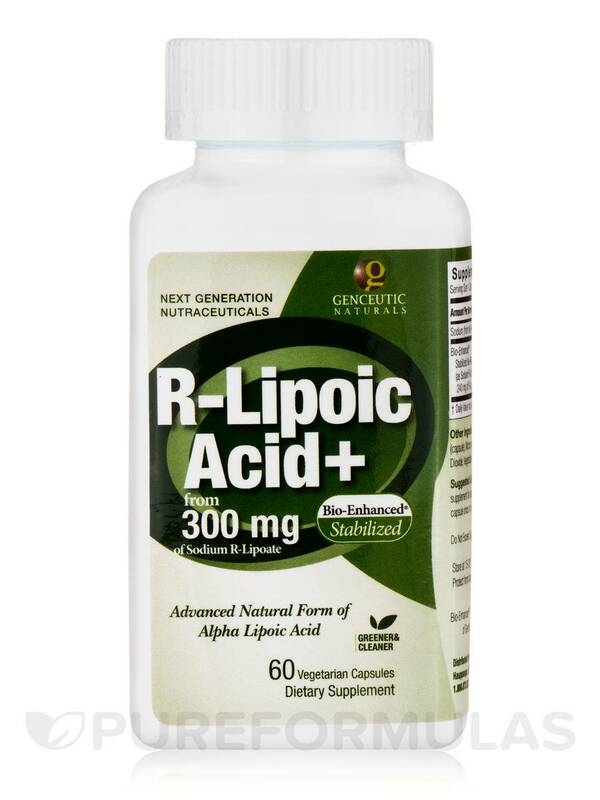 Bio- Enhanced Natural R -Lipoic Acid by Genceutic Naturals is a great product from r those who are intermittent fasting! It works wonders!!! Enhance energy production and antioxidant support with Bio-Enhanced® Natural R-Lipoic Acid 300 mg 60 Vegetarian Capsules from Genceutic Naturals. This dietary supplement contains R-Lipoic Acid‚ a form of lipoic acid that occurs naturally in plants‚ animals and the human body. Studies reveal that lipoic acid could affect nearly every cell in the body. It aids the body in producing energy that the body could store for later use. 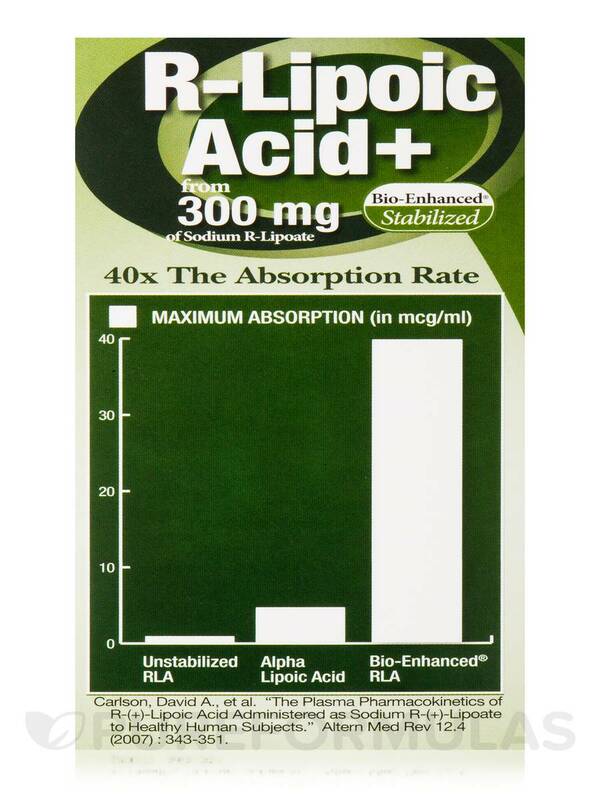 Lipoic acid is both water and fat soluble and could assist the body in providing antioxidant support. It might also help recycle other antioxidants such as vitamin C‚ E and glutathione‚ thereby neutralizing harmful free radicals. Another health benefit this supplement form Genceutic Naturals could provide is healthy sensitivity to the hormone insulin and metabolism of glucose. Studies reveal that Lipoic acid could potentially improve the functioning of the circulatory system and nervous system. 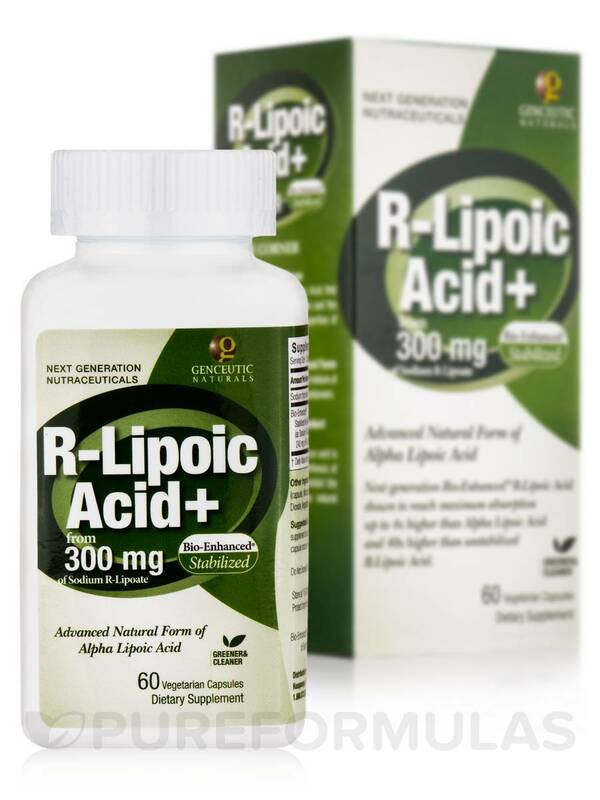 This formula contains bio-enhanced R-Lipoic Acid which the body could absorb easily and which is also more stable than unstabilized R-Lipoic Acid. Switch to Bio-Enhanced® Natural R-Lipoic Acid 300 mg 60 Vegetarian Capsules from Genceutic Naturals to improve your energy levels and provide antioxidant support. Other Ingredients: Vegetable cellulose (capsule)‚ microcrystalline cellulose‚ silicon dioxide‚ vegetable magnesium stearate. As a dietary supplement for adults‚ take one (1) capsule once or twice daily with meals. If you are pregnant‚ nursing‚ taking any medications‚ planning any medical procedure or having a medical condition‚ consult with your healthcare practitioner before use. 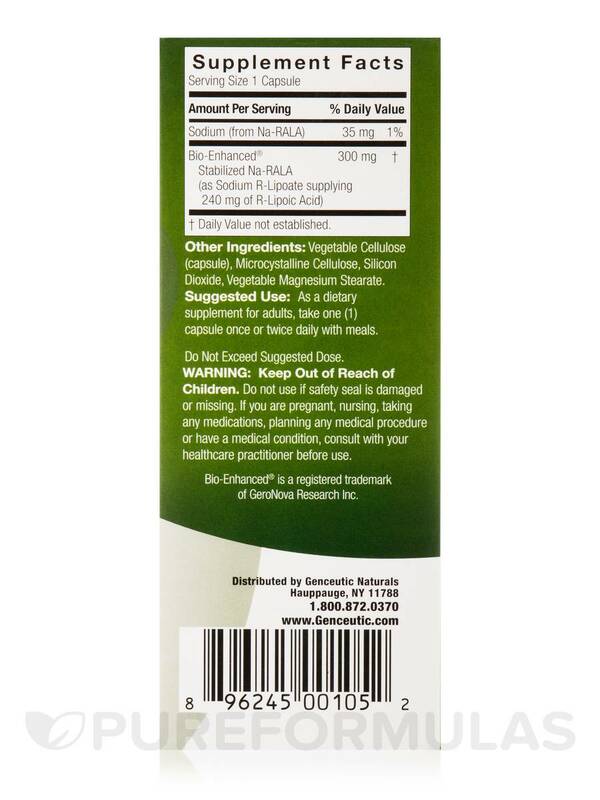 Bio-Enhanced® R-Lipoic Acid by Genceutic Naturals has helped with my neuropathy symptoms, I take 1200mg/ day! My daughter has an MTHFR gene mutation and she takes Bio-Enhanced Natural R-Lipoic Acid 300 mg by Genceutic Naturals daily, to help her eliminate toxins. I also take it for the same reason. My daughter's health has improved greatly in the one year she's been on this. I take it daily for anti-aging and it's working very well for me. Keeps me young. Keeps my daughter healthy. Helps us eliminate toxins. It's a precursor to glutathione, the body's mop against dangerous chemical buildup in our bodies. My brother-in-law has diabetes and his doctor put him on this product. It makes my pee smell the same way it smells after I eat asparagus. That's actually good though; it means that it's generating the same type of detox. Keeps my Autoimmune Disease in check! 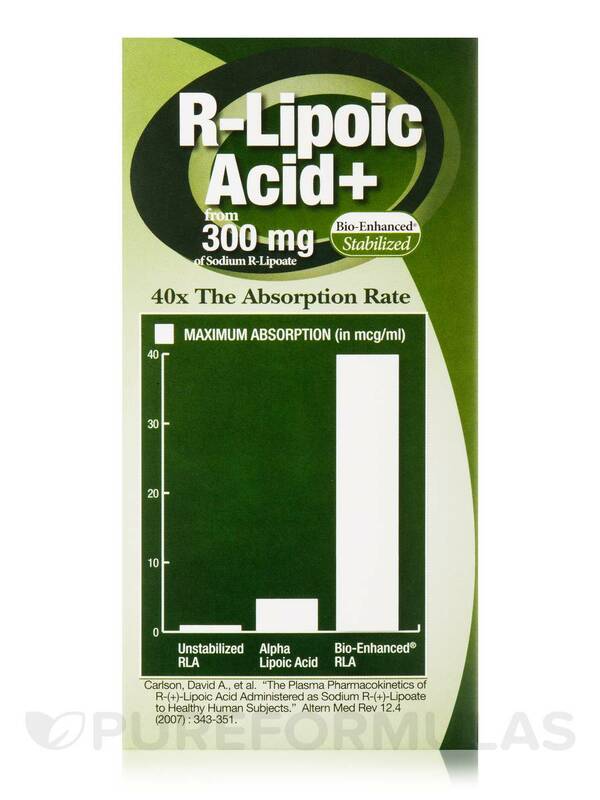 I use this form of R-Lipoic Acid together with LDN (Low Dose Naltrexone) to keep my autoimmune disease in check. I have Hashimoto Disease, but I have no more symptoms of the disease, after a couple of years of this protocol. 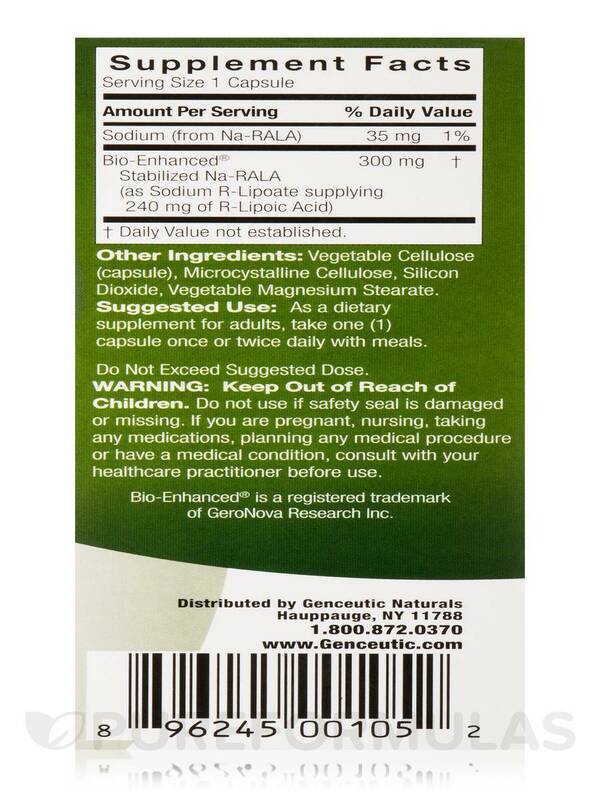 My brother in law uses Bio Enhanced Natural R Lipoic Acid by Genceutic Naturals for his diabetes. His doctor actually put him on it - this form. It works extremely well. Keeps my autoimmune disease in check. I never liked the side effects from Neurontin (Gabapentin). 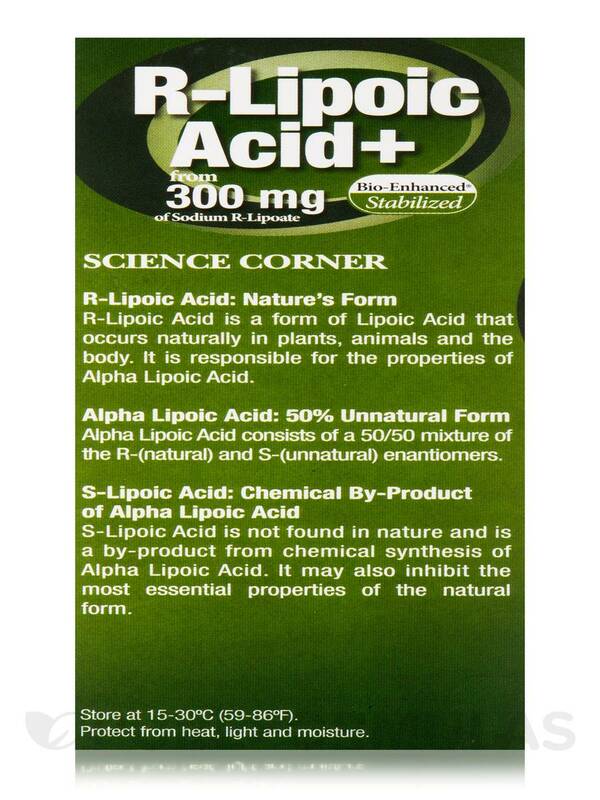 I first tried Alpha Lipoic Acid but it never worked for me. 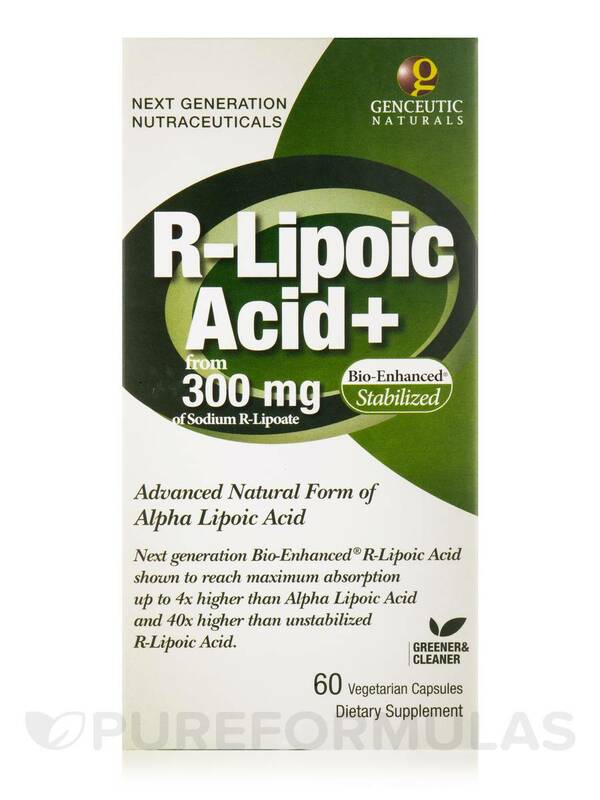 After doing a little internet research I decided to give R-Lipoic Acid by Genceutic Naturals a try. WOW...what a difference. It doesn't fully replace what Neurontin can do but at least I don't have to take that drug daily...just occasionally. 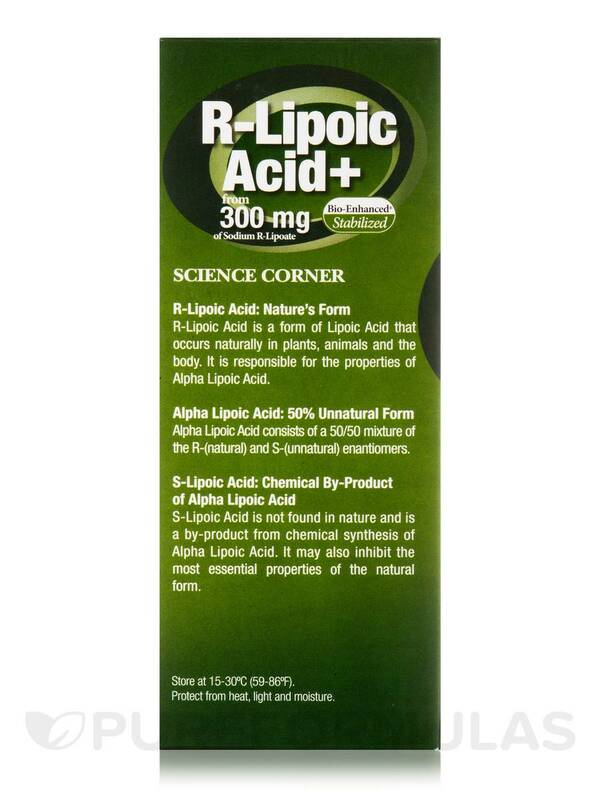 Bio-Enhanced Natural R-Lipoic Acid by Genceutic Naturals is the only ALA product on the market that contains bio-active ingredients. All other products contain ALA thats synthetic (fake) or a very poor quality you can't breakdown well. I am very pleased with the results I see in the first day taking it. I will continue to take Bio-Enhanced Natural R-Lipoic Acid forever. Must have supplement for anyone wanting to improve their health. Clinical strength, proper form of ALA, effective, easy to take, quality ingredients and no fillers.